The week’s conference coincided with the commemoration of the presumed death of three workers at Lily Mine. Mineral Resources Minister Gwede Mantashe will on Thursday deliver a keynote address at the final day of an annual mining conference held this week against the backdrop of concerns about the policy framework for the sector. The four-day Investing in African Mining Indaba held in Cape Town has sought to build and maintain cross-continental business relationships in the mining sector, and this year is celebrating 25 years of progress in the industry on the continent. 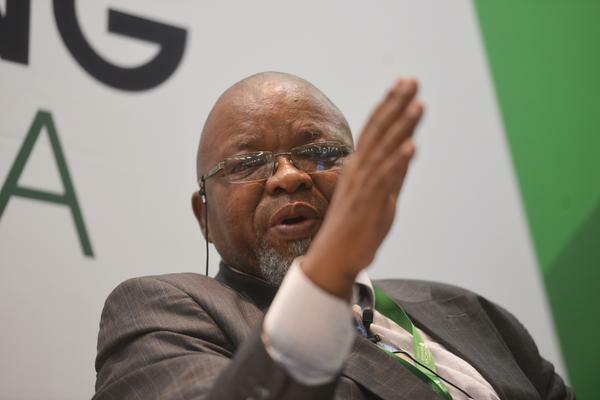 In his opening address on Monday, Mantashe focused on addressing concerns about South Africa’s mining policy and framework, assuring the industry that the government was addressing the challenges of administered prices. Mantashe also committed his department to addressing challenges including the alleged double-granting of licenses, the improper application of Section 54 of the Mine Health and Safety Act which involves the shutting down of mine operations, as well as backlogs in issuing licenses. This has been raised by many companies as one of the bottlenecks delaying investment in the country’s mining industry. The sector has however pledged to support Mantashe’s efforts and work together as evidenced by the signing of a leadership compact. The agreement commits all parties to work co-operatively and according to high standards of good governance to make South Africa a competitive mining jurisdiction with regards to ethics, effective regulation, lawful behaviour, and beneficiation, among others. Mantashe also highlighted health and safety issues in his opening address, noting that the industry had experienced several accidents resulting in multiple fatalities in 2018 and urging stakeholders to engage and come up with solutions. The week’s conference coincided with the commemoration of the presumed death of three workers whose bodies have now been trapped underground for three years at the Lily gold mine in Barberton, Mpumalanga. On Wednesday, news broke that more than 20 illegal miners had been trapped underground at Gloria Coal Mine in Mpumalanga. President Cyril Ramaphosa this week assured the mining industry, in an address to the Indaba, that his government would not let cash-strapped state power utility Eskom fail, in order to ensure the security of energy supply for the country. The industry welcomed the government’s commitment to addressing infrastructure constraints that limit mining and processing, including port, rail, and electricity. Mantashe will on Friday inspect Tormin Mineral Sands outside Vredendal to engage local stakeholders and address concerns raised about the company’s Western Cape operations. The company has applied for prospecting and mining rights in Xolobeni in the Eastern Cape, but there is currently a moratorium on the processing of applications for that area.